Are Gross and Izquierdo likely to play today? The weeds have done well in some aspects . Desperate attention seeker supports desperate attention seeking club. Brighton have finally made their mark on the Premier League as they top the most inept team of the season table which is based on a number of factors. Time for another parade and celebration breakfast ? Hughtons set his stall out for survival. It ain’t gonna be pretty but if they beat the toon he will have achieved it . At least they will be in the mix for relegation next season . Quite telling was that no signings from this season made the line up . He has reverted to the championship side pretty much . But you did and we appreciate the points. Wolves will beat Brighton today, make no mistake about it. 6 games without a single goal. Not very valiant. Unfortunately that was a big point for them yesterday. 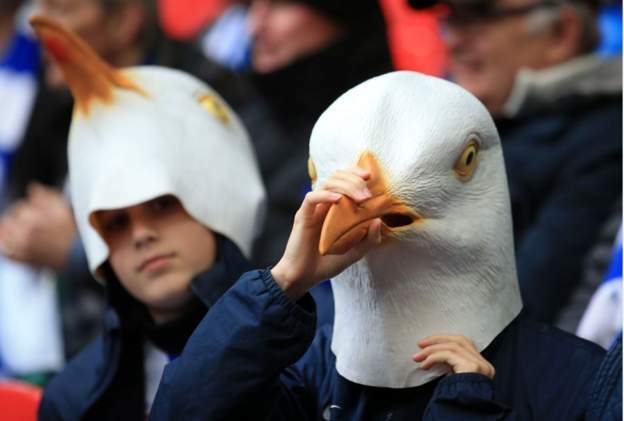 Cardiff now need a result in two of their matches to catch Brighton even if they don't get another point. It was a big point but I watched it yesterday and they were ******* awful against a Wolves side on the wane. Their passing was worse than ours! They've got stiffer tests than Wolves to come. They had 2 touches in the Wolves penalty area yesterday in the whole game. They were winning games 1-0 at the start of the season doing that. Just a shame their luck didn't run out earlier.